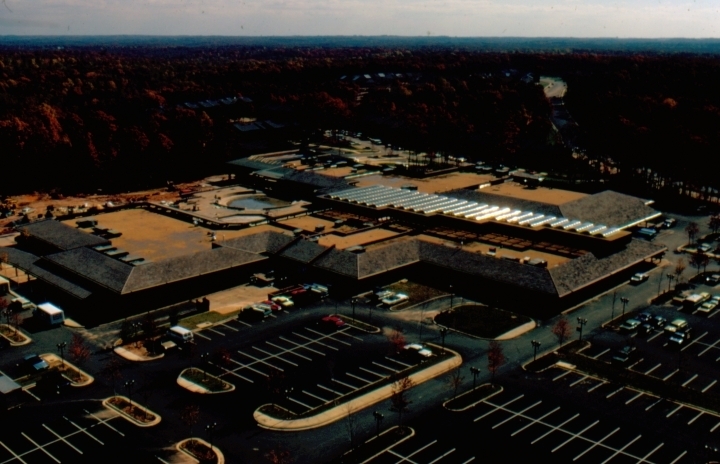 An oblique view of Hunters Woods Village Center in Reston, Va. This view faces southeast and shows the parking lot and the nearly completed shopping center. “Oblique view of Hunters Woods,” Northern Virginia Digital History Archive, accessed April 24, 2019, http://novahistory.ctevans.net/items/show/247.